The Temple Beth Sholom Men’s Club, Hazak and Camden County Chapter of Hadassah are co-hosting the event. David Brill will present “Letters from a Judean” on Oct. 30 at Temple Beth Sholom. The Temple Beth Sholom Men’s Club, Hazak and Camden County Chapter of Hadassah will be hosting a special brunch featuring David Brill as he presents, “Letters from a Judean: A Love Story, A Family Story, And A Historical Recalling of World War I.” The event will take place on Sunday, Oct. 30, beginning at 9:15 a.m. at Temple Beth Sholom, 1903 Kresson Road in Cherry Hill. In February 1918, an 18-year old American Jew named William Z. Porter left his home in Philadelphia to join the 39th Battalion, Royal Fusiliers — the Jewish Legion. Over the next several years, as he moved with the 39th from training camp in Windsor, Canada, to England, Egypt and pre-Mandatory Palestine, William corresponded extensively with hometown girl Fannie Wilensky, who would become the speaker’s maternal grandmother. The letters cast a fascinating light on a wide range of subjects, from relations between Jewish and non-Jewish soldiers, to the vibrant Zionist youth culture of Philadelphia, to ordinary soldiers’ impressions of the Zionist leaders of the day. 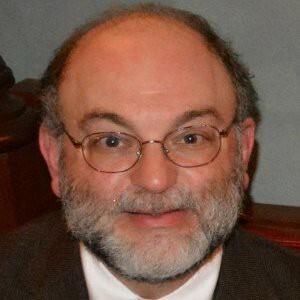 In his presentation, Fannie’s grandson will describe what he found in her collection, how he preserved it, and how he used Jewish genealogical resources on the web to find and reconnect with William’s descendants. David R. Brill, is a longtime member of the JGS of Greater Philadelphia and coordinator of its Russian Interest Group. In addition to sometimes working on his own family history, David maintains the KehilaLinks page for Tuchin, Ukraine, and has translated all existing Jewish vital records for his ancestral shtetl of Usvyaty, Russia. In his non-genealogical life, David is a civil engineer for the Federal Aviation Administration. Admission is $5 in advance and $10 at the door, if available. Checks should be made payable to Temple Beth Sholom and return it to Temple Beth Sholom Hazak by Oct. 26.